Dr. Avul Pakir Jainulabdeen Abdul Kalam born on 15th October 1931 at Rameswaram, in Tamil Nadu, specialized in Aero Engineering from Madras Institute of Technology. Before his term as India's president, he worked as an aeronautical engineer with DRDO and ISRO. He is popularly known as the Missile Man of India for his work on development of ballistic missile and space rocket technology. In India, he is highly respected as a scientist and as an engineer. 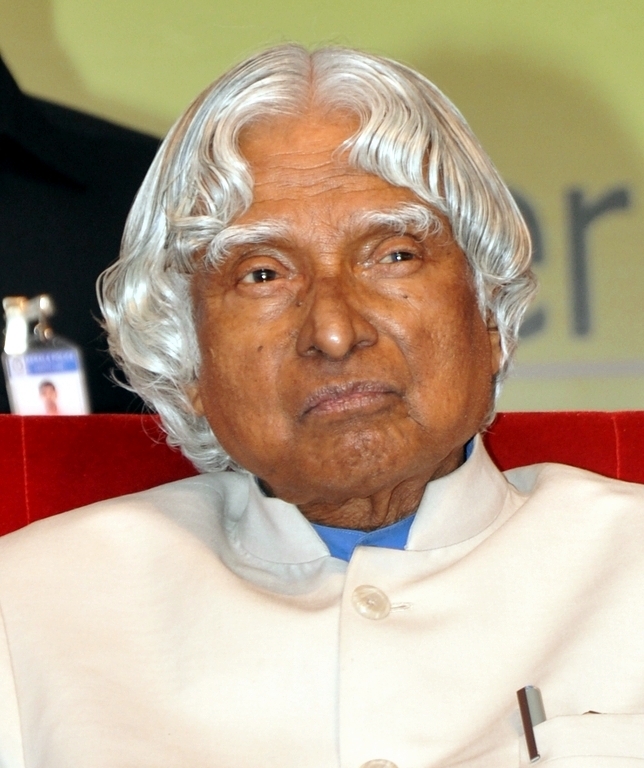 Kalam played a pivotal organisational, technical and political role in India's Pokhran-II nuclear test in 1998, the first since the original nuclear test by India in 1974. He is a professor at Anna University (Chennai) and adjunct/ visiting faculty at many other academic and research institutions across India. With the death of R. Venkataraman on January 27, 2009, Kalam became the only surviving Former President of India. APJ Abdul Kalam views on certain issues have been espoused by him in his book India 2020 where he strongly advocates an action plan to develop India into a knowledge superpower and into a developed nation by the year 2020. Self respect comes with self reliance. Kalam has been chosen to receive prestigious 2008 Hoover Medal for his outstanding public service. The citation said that he is being recognised for making state-of-the-art healthcare available to the common man at affordable prices, bringing quality medical care to rural areas by establishing a link between doctors and technocrats, using spin-offs of defence technology to create state-of-the-art medical equipment and launching tele-medicine projects connecting remote rural-based hospitals to the super-specialty hospital. A pre eminent scientist, a gifted engineer, and a true visionary, he is also a humble humanitarian in every sense of the word, it added. India can live without nuclear weapons. That's our dream, and it should be the dream of the U.S. also. If we are not free, no one will respect us. We hope guys you find our article "Abdul Kalam Inspirational Quotes" by Mr Great Inspiration useful.